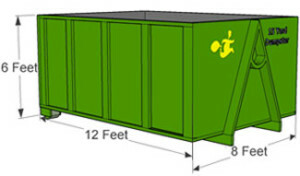 We provide dumpster for any home owner project. Cleaning out the house, remodeling, what ever your needs we have right size dumpster for your project. 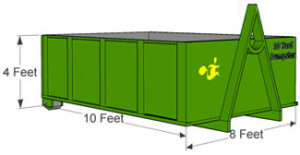 In most cases the dumpster is placed in the driveway. All our dumpsters are placed on wood planks to prevent any damage to the driveway or surface. We can also put them in the yard or grass. As long as our trucks can easily navigate the property. The best for the dumpster is the driveway. It is less likely to damage the surface it is placed. Dumpsters and trucks should not driveover sprinkler heads or septic systems.